So, let’s talk about how mulch can improve your landscape investment and what factors play into how much mulch you need and when you need it. Also, talk to your landscape professional about mulch pricing in summertime, when there is less demand. What’s important is to work mulch into your landscape budget cycle, whether the fresh layer goes down the first of spring, mid-summer or in fall after cleanup. Your property’s appearance and plants’ health will benefit from a professional mulch application no matter when you decide to do it. The most obvious reason to lay down a fresh layer of mulch each year is because it adds a crisp, clean look to landscape beds. By covering faded, scattered mulch with even a thin application of mulch (as little as 1½ inches and no more than 4 inches in areas that are bare), you improve the curb appeal of the property. This is important for Northeast Ohio property owners that lease their space or want to attract visitors to a retail environment. New mulch gives a commercial property that cared-for look that communicates attention to detail. When property owners let tasks like mulching slide, the property can look rundown and deter business. Beyond the cosmetic benefits of new mulch, the plant health advantages are reason alone to make sure your beds are covered this season. Landscaping mulch conceals plant roots, protecting these vital “veins” that deliver food and nourishment. And mulch works hard to suppress weeds, which can reduce labor-intensive maintenance efforts later on in summer, when weeds are most persistent. With a new layer of mulch, you’ll lock moisture into the soil and help with irrigation efforts — mulch helps conserve water while preventing erosion and runoff. 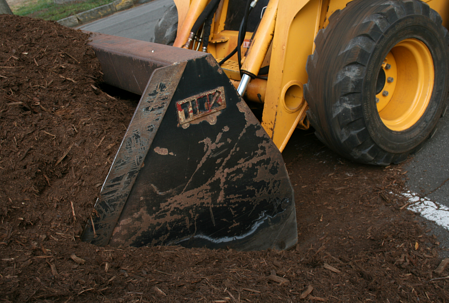 The amount of mulch your commercial property needs depends on whether you have kept up with new mulch on an annual basis, the condition of beds, and how much mulch you lost due to fall or spring cleanup and weather conditions. Some landscaped areas can get more saturated, causing mulch to wash out. A landscape professional will evaluate your beds and prescribe the proper amount of mulch for each area. Some beds might require more mulch than others. One year your beds might require a 1½-inch cosmetic cover to refresh beds, while the next year you could need a 3-inch layer of mulch in areas that are going bare. 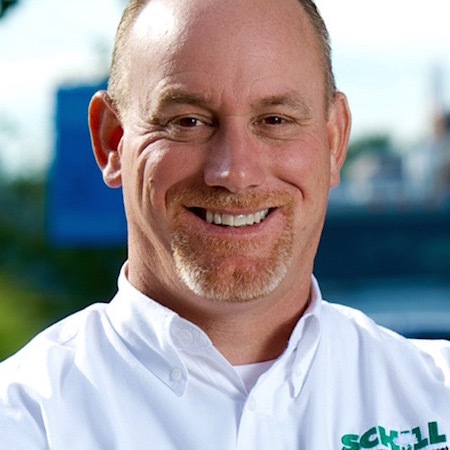 The bottom line is, mulch matters. 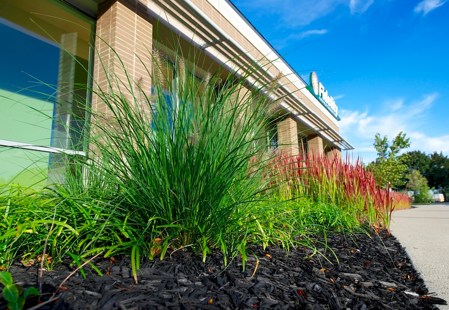 Landscaping mulch is beneficial for plants and boosts curb appeal, making it an essential element of commercial landscape maintenance for property owners and managers in Northeast Ohio. A landscape professional can help you decide how much mulch you need and tip you off on when to mulch, too. Let’s talk more about how mulch is part of a comprehensive commercial landscape maintenance program that protects your outdoor investment. Call us any time at (440) 327-3030, or fill out this simple contact form and we’ll get in touch with you.